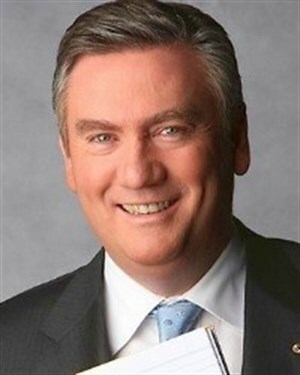 Few success stories are as inspiring as Eddie McGuire – a boy from a working-class suburb whose drive, determination and fearlessness would see him become the most recognisable face on Australian television. He began his career working as a statistician for Australian Rules Football before landing a job as a sports reporter for Network Ten. 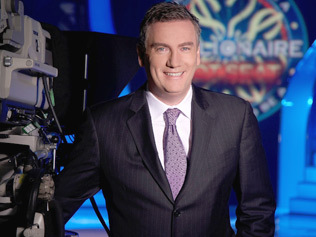 In 1993 Eddie McGuire made the move to the Nine Network, marking the beginning of a long partnership, which would include Eddie’s stint as network CEO. Whilst at Nine, Eddie proved to be a versatile presenter, capable of transferring to a variety of roles. Collected and composed, he also possessed a talent for live television – earning him the nickname Eddie Everywhere. 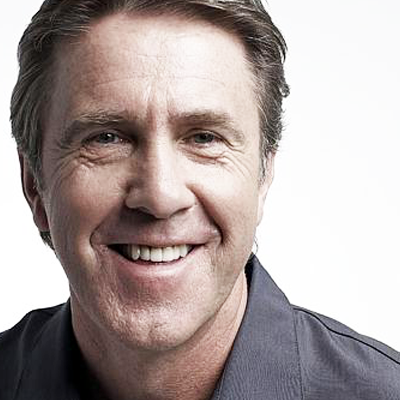 He spearheaded the ratings and Logie Award winner, The Footy Show, from 1994-2005. The show was credited with pioneering a variety-style, light entertainment football show which set a benchmark for other networks. Eddie stepped down from his Footy Show commitment to take on the role as Nine Network CEO in 2006. He resigned from the position in 2007. Eddie McGuire reappeared on television screens as the affable host of Who Wants to be a Millionaire – the most successful weekly quiz program ever broadcast in Australia. 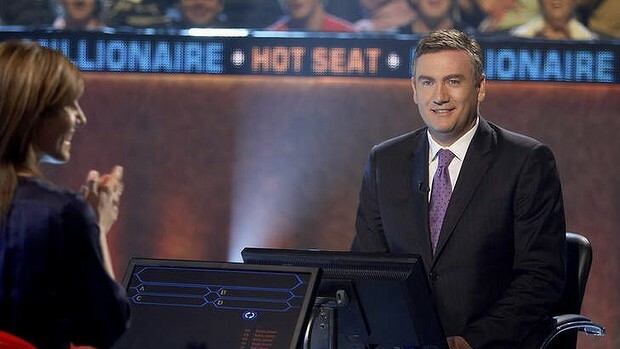 He currently hosts Channel Nine’s Millionaire Hot Seat, (the Who Wants to be a Millionaire spin-off) and Million Dollar Money Drop. 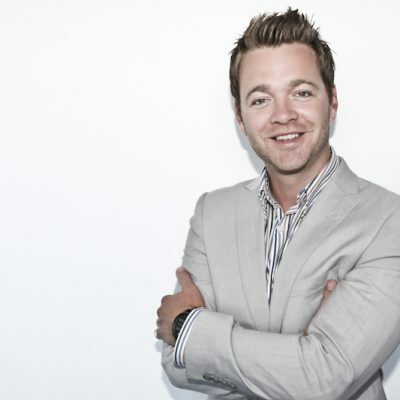 As a presenter he is regarded as one of the best in the business. 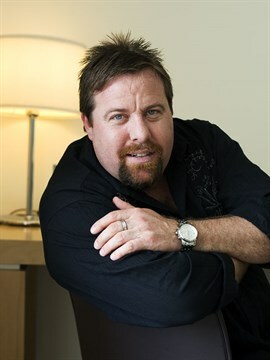 He has hosted major international sporting events including the Olympic Games, Commonwealth Games, Super Bowl and Formula One Grand Prix as well as live television events including The TV Week Logie Awards. 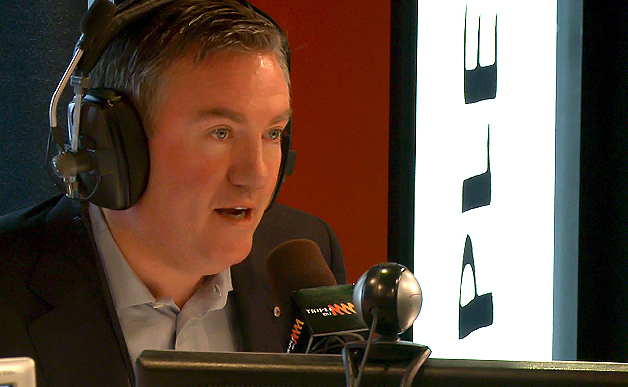 Eddie McGuire has enjoyed a long association with Triple M radio. 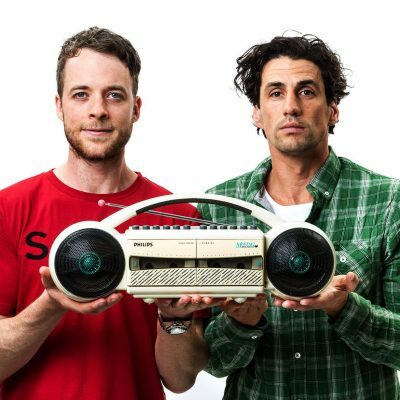 He created and hosted Triple M’s The Grill Team – a blend of comedy, sport and celebrity. He currently hosts the popular morning program, The Hot Breakfast. He is an Australian Rules commentator for Fox Footy and has his own show on the channel, Eddie McGuire Tonight. He is also a columnist for the Herald Sun. Eddie owns the fastest-growing independent media production company, possessing an edge that goes beyond celebrity. It was this business edge that led him to take on the role of president at his beloved Collingwood Football Club in 1998. Under Eddie’s reign the club’s economic fortunes soon began to turn around as did the on-field performance, with Eddie steering the club to its first premiership in 20 years. 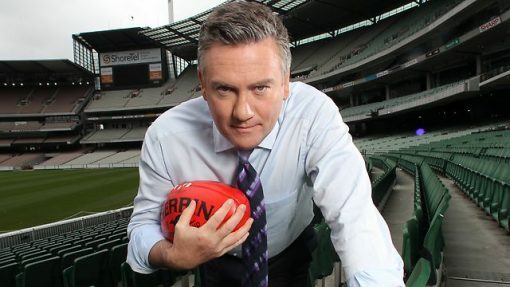 Today, Collingwood Football Club is valued at more than $340 million, and its world-class training facility will be among Eddie McGuire’s legacies. With 71,000 members, and a multi-million dollar 2011 profit, Collingwood Football Club is one of the most valuable sporting clubs in the world. Eddie McGuire sits on a number of boards including the Victorian Major Events Committee, Athletics Australia and leading stock broking firm, Evans & Partners. He also holds advisory roles with the Alannah and Madeline Foundation, Burnet Institute, the Olivia Newton John Cancer Council, the Alfred Hospital Foundation and the Leukaemia Research Fund for the Royal Children’s Hospital. In 2001 he was awarded an Australian Sports Medal for services to Australian football. He was honoured with a Member of the Order of Australia award in 2005 for “service to the community, particularly through support for health care and welfare organisations, and to broadcasting”.